dtmt wrote: The Hi-Y connector? Has anyone used it? What difference did it make in your kites performance? Is there any reason to try it on my new E-6's? The total front line length to the kite will shorten a bit, so you're flying a tiny bit depowered. Angle of the bridle will be more inwards too, but it depends on the kite if that will impact it. With 3 pulleys, I don't think it'll matter a lot though. There's no reason to try it. It's mostly there for using the C4 with kites like Core or FOne. how many meters is the controller4's depower? Below is just my personal opinion. The bare has some advantages compared to controller3, as well as disadvantages. One very big disadvantage though is that the bar way too thick! I was riding it with 3m neoprene gloves and my hands got tired after 10 minutes. It’s simply too thick to hold in any gloves so the palms and hands get exhausted in a matter of minutes. 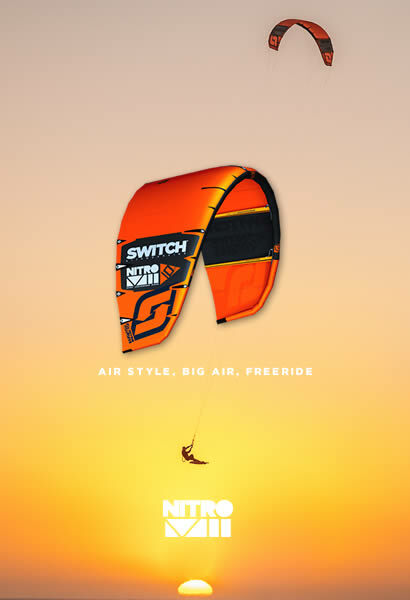 I think the Switch team forgot about those who live in a colder climate and winter kiters….? How come? Has anyone ridden Controller4 with neoprene gloves? 48 cm of bar throw. Regarding thickness this is a huge personal preference and hand size. We have riders on our gear in dry suits and gloves and have never complained about this. Also too small a diameter customers complain about cramping. I have. Haven't measured the bar, but it feels just as thick as the V3. I have a other opinion. . Living in Denmark, riding all year from Jan-Dec with temp below 0 a lot in the winter, with 3mm GUL power gloves about 4 month of the year I have never, ever had that problem. 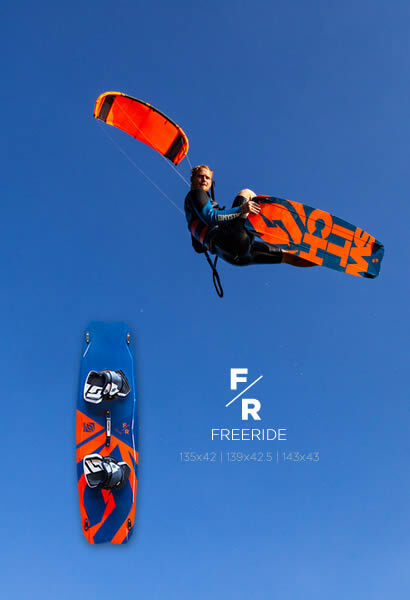 Never had the people who has demoed the kites here, I even had a mate to try it out with his 5mm lobster gloves, he didnt complain about it, he was coming from his Eleveight bar that is about the same size in thickness as the C4. I can ride as long as I want, with or without gloves, dont think the gloves makes any different other then keeping my fingers warm. I use normal five finger gloves, not claw or any other kind of fingercombo... Just normal 5 fingers. 3mm. I dont think the bar is to thick and as Felix said, it depense of your hand. Switch can not make a bar that will be good in everybodys hands as we are all differenct sizes and stuff. 1) Controller3 is 23mm, Controller4 is 27-28mm so it's NOT the same thickness, as I have both bars and can compare them. 2) I doubt that there is an industry standard but I can measure some other bars that I have and they are all clearly equal or less then 23mm. I googled for the other bars sepcs - from what I saw, mostly all bars are 23mm or less, Airush i.e has a bar 18mm in diameter. So excuse me if I'm wrong, but I can clearly see that Controller4 has a different specs compared to the previous versions and I couldn't come across on google with any bar so far with 28mm in diameter. There's nothing personal here really, just a clear specs and math. P.S you can clearly see the difference in picture attached even without measuring tool. Is it normal to have a ring coming out of the clam cleat ?Sorry I don't have a photo. I just had another 2 hours session on a water with 3mm neoprene gloves. Ok, this is what I can tell: the bar is definitely too thick! If you do the aggressive new school style or loop hard/ride hard you palms and arms getting tired within 5-10 min. Yeah, it’s ok if you ride alone the coast line in tram-style without any sweat. But it’s definitely NOT ok if you ride more aggressive on hands. Yeah, you can certainly say that this is subjective opinion. But I had 5 bars before that and never experienced any troubles, and still have controller3 which works great so obviously I can compare different bars in a similar riding conditions and style. Another thing which started bugging me as well – is a swivel which was hard to turn and it was making noise when a sand got into it. When I washed it with water it went well. So it’s hard to say how long will it last under sandy conditions. So long story short – IMHO Switch team made a bar with a number of great features and improvements as well as a list of issues which are under question and only time will prove if it’s worth it. I will still say it's a personal opinion. I can't recognize my hands hurt when using the bar, even after 4 hours on the water today, and yes, it was with jumps, loops and other stuff. With the 9m element6 on 20m lines in 11m/s. I have googled some bars and 2/5 wrote thickness.